The Scary Damsel is an interesting pattern that works best near the bottom of the lake, using a jerky recovery. 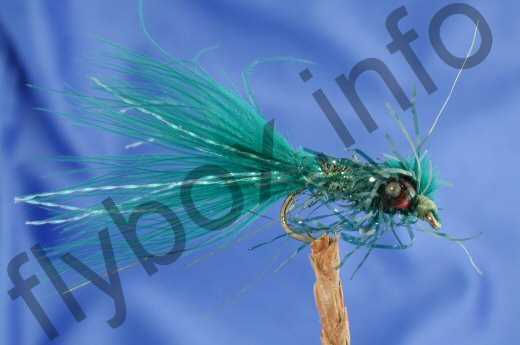 Tail : Dark emerald green marabou with pearl flash. Body : Green lite brite. Currently there are no comments about the Scary Damsel fly pattern from other fly fishermen yet.